Eureka Canyon Road near the summit. 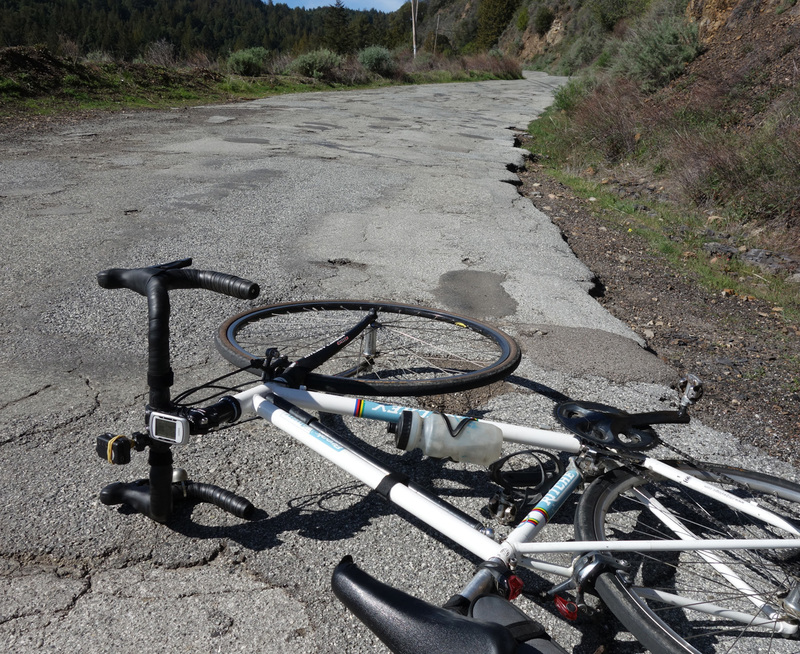 Could this be the most patched road in Santa Cruz County? If there’s one route in the Santa Cruz Mountains that consistently has issues in the winter it’s Highland Way/Eureka Canyon Road. Back in 2000 a huge slide closed the road. We walked our bikes across, carefully. The county eventually fixed the road, but there was another big slide a few years later. Cyclists who explore the Demonstration Forest on Highland Way drive these roads all the time. This entry was posted on February 28, 2016 at 10:14 am and is filed under Ride reports. You can follow any responses to this entry through the RSS 2.0 feed. You can leave a response, or trackback from your own site.